Joshua Tree National Park is situated in the Mojave Desert to the east of Palm Springs, California. Arriving here feels like landing in a spaceship on an alien planet. Radically different from parks such as Yosemite, it really feels like an alien landscape with its amazing rock formations, Joshua Trees and Cholla cactus. Should you ever visit the Park, beware of the Cholla cactus; its spines are barbed and painful to remove … trust me! 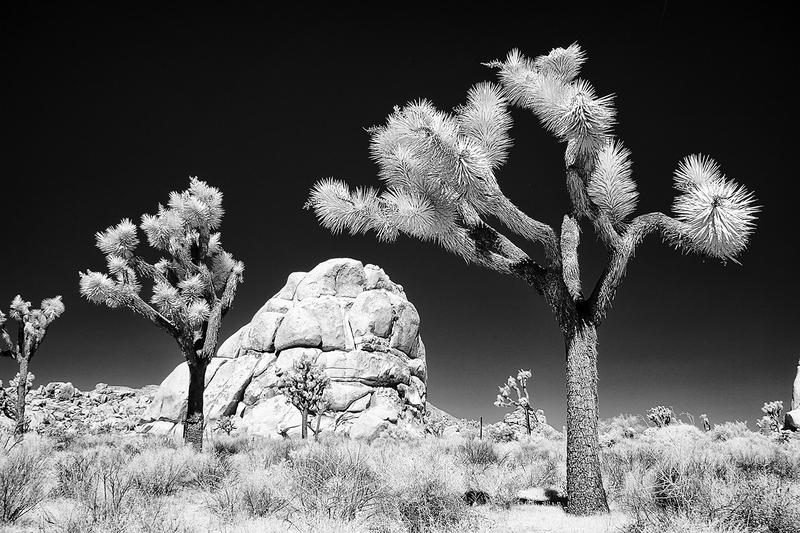 The Joshua Tree is a type of Yucca and grows in great profusion, particularly in the northern part of the Park. These trees were photographed around the Barker Dam area of the Park.